A few days ago my 88-year father, the brilliant cook in the family, started cooking for Christmas Eve and Christmas Day dinners. I’ve heard “stay out of the kitchen,” since I was a child. Dad simply prefers to work alone and has never desired to reveal his culinary secrets. Spices are swiped on and off the pantry shelf with such dexterity that his recipe deception has become a running joke. Now that he is older, I am still shielded from his methods, although my offers to help with low-level prep work have slowly been accepted. However, I am regularly reminded of my lack of cooking talent as Dad barks “you didn’t cut that right,” or “you turned the stove on too high.” I suffer the insults with good cheer, lovingly threatening to entirely abandon him in the kitchen. My mother (now deceased) always said that if my father wants to criticize his help, that he better be prepared to do the work himself. To date, the threat has always worked. On Christmas Day, we planned to travel two houses down on the street to spend the holiday with our friends Karen, Jeff, and David. I was trusted with packing the food in the car to make the short trip, but reprimanded for backing the car out of the barn too fast, traveling too fast on a 30 mph road for the 400-foot distance between the houses, and otherwise driving recklessly. The fact that the Christmas Day trip took less than thirty seconds did nothing to diminish the flow of judgmental commentary. My father’s contributions to the meal were readily consumed and praised, as was all the rest of the food. Yum! 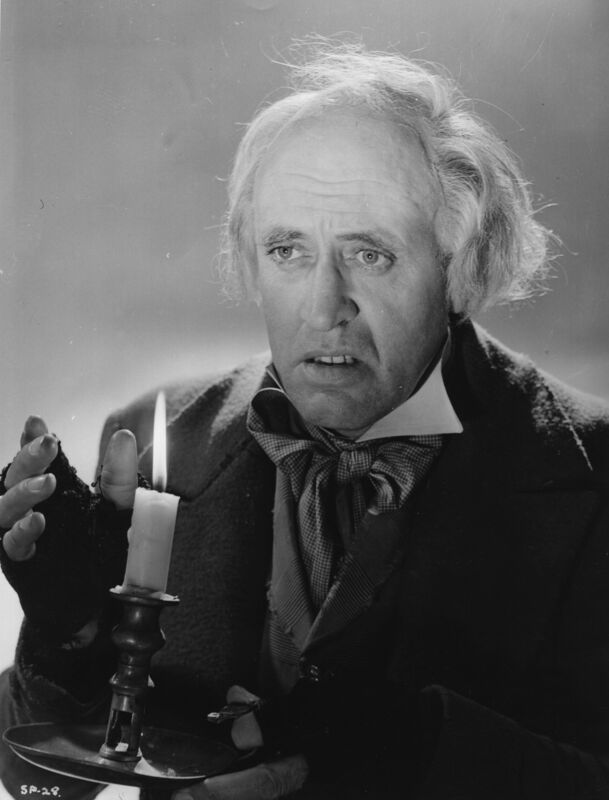 After dinner the five of us retired to the family room where we watched the 1951 version of “A Christmas Carol.” With Karen having declared Alastair Sim as “the best scrooge ever,” we couldn’t help but tease my father that the movie was about a grumpy old man. “Scrooge and my father share an uncanny physical resemblance,” I joked as the movie started. “No, I think your dad looks more like Mr. Potter,” Karen corrected. Either way, the jests were at my father’s expense, all of which he took in good stride. As the movie progressed along its well-known path, we all looked forward to seeing the ghosts of Christmas’ past, present, and future that visit the cranky scrooge. What kind of ghost would visit my father? Unable to resist the temptation for a little humor, I proposed the following: 1. The Ghost of Untold Recipes, 2. The Ghost of Criticism, and 3. The Ghost of Backseat Driving. No one could accuse my father of lacking generosity or empathy, so my minor twist to the Dickens’ classic fit quite well. Fortunately for the fictional Ebenezer Scrooge, his epiphany has occurred before the ghostly journey ends. “I repent, I repent!” screams scrooge. A new man, the Dickens’ character learns the error of his ways and reverses course, thus saving himself to make for a happy ending. That’s the power of fiction. I whispered to my father that he may want to dance around the room or press a few dollars into my hands to share the scrooge’s sudden revelation. Nothin’ doin’–we ate dessert and went home, albeit with a smile on our faces.